Le Ouistiti offers after-school programs for all ages as well as a Late start Thursday program for Kindergartners. You will find our school year calendar here. Monday to Friday French afternoons are designed for Preschool and Kindergarten students. The children learn French through art, sensory activities, story time and play. The Tuesday afternoon classes are designed for Elementary students. 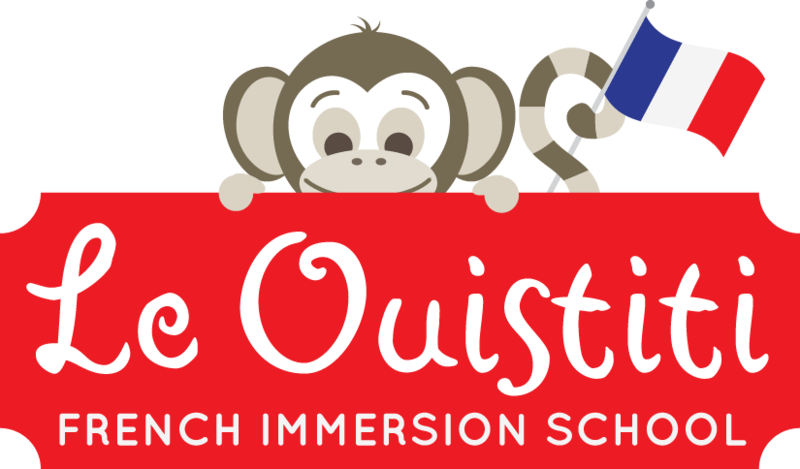 Our young learners will be introduced to French using the Loustics program, specially designed for Elementary French language learners. This course is suitable for beginner French students. Fees include a student book and workbook. The Thursday afternoon classes are designed for our Elementary students who have already completed the Loustics 1 program and are moving on to Loustics 2. In addition to the Loustics program, we will also create skits as a class. Wednesday afternoon classes are for Middle and High schoolers beginner French students. Discover French with Adomania, a French language curriculum specially designed for teens. This highly interactive program brings you into the lives of French teens through photos, videos and more. Late start lessons are open to Kindergartners who will participate in and lead activities with our preschool students. They will be offered a snack and escorted to the school bus at 11:05.